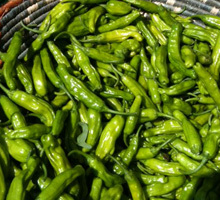 The Santa Fe Farmers Market operates every Tuesday and Saturday, 7 AM-12 Noon, late April - October in the Railyard, 530 South Guadalupe. 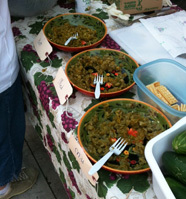 It also operates every Thursday evening, 3-7 PM, from July - September at the County Fairgrounds on Rodeo Road. 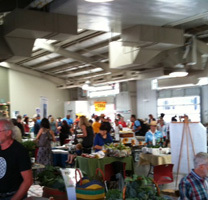 November-April the Market operates indoors at El Museo Cultural, Saturdays 9AM-1PM. 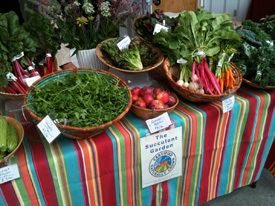 With over 100 small growers participating, the Santa Fe Farmers' Market is the largest in New Mexico and one of the best known in the country. 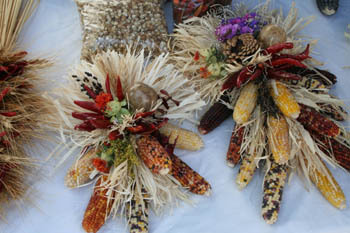 Vendors may only sell agricultural products they grew themselves in the 15 county region, or crafts and processed items they have made with agricultural products from the area. 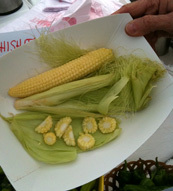 You can find hundreds of varieties of fresh, locally-grown fruits and vegetables, some available year-round. In addition to seasonal produce, you can always find quality meats, dairy, and eggs; flowers and houseplants; traditional dried foods; superb baked goods; jams, jellies, and honeys; tantalizing body care and herbal products; and original crafts and homespun garments. 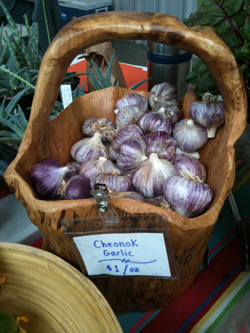 During the planting season, you can also find compost, worms, and a marvelous selection of bedding plants. Please refer to the crop calendar for more details. 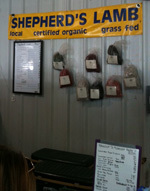 Where you will find.. excellent local produce. 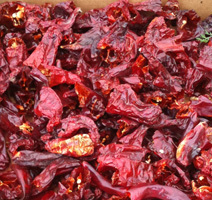 New Mexico is noted for their flavorful peppers. 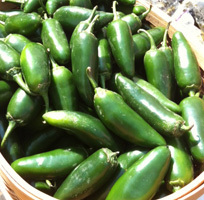 Shown above: padron, red chili and jalapenos. The Succulent Garden-- Santa Fe NM. Just across the street from the Market is the Site Museum of Santa Fe which has free admission Saturday morning (till 12 noon). 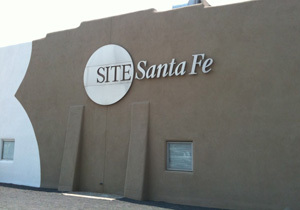 ...SITE Santa Fe is a leading international venue for artistic experimentation and curatorial innovation. SITE is relevant and engaging to a diverse local, national, and international audience... "
The Market operates year-round in the Santa Fe Railyard and hosts numerous events, including Shop With the Chef, Lavender Festival, and Farm Tour. 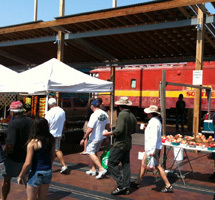 Many special events take place at the Santa Fe Farmers Market throughout the outdoor season. 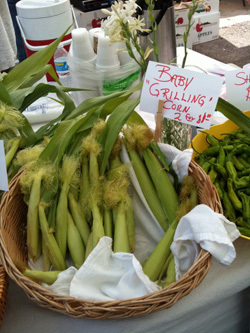 Additionally, the Market hosts a few events per year which take place somewhere other than the Market itself. 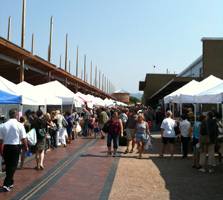 The Market also features live music from local musicians every week. 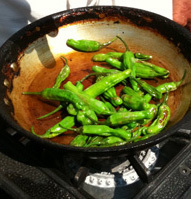 WHAT ARE THE BEST RESTAURANTS IN SANTA FE?